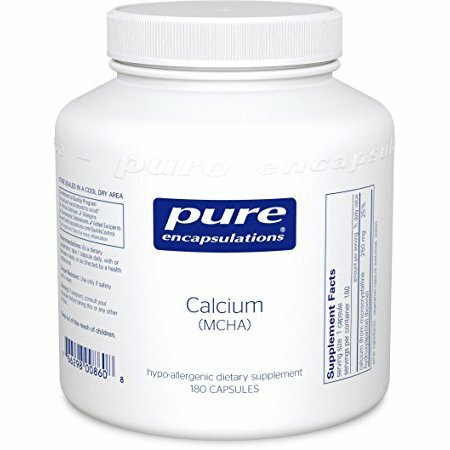 MCHA Calcium is derived from bone and is ideal for building and maintaining bone health. You may be deficient in calcium and not suspect it if you don’t consume 3 cups a day of leafy green vegetables, or don’t eat real cheese. One to three a day will boost calcium to desired levels if you are eating green vegetables and canned fish with bones. More absorbable than Calcium Carbonate or other chelated calcium. 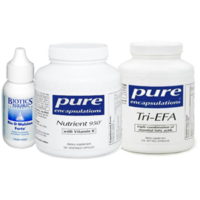 Pure Encapsulations products are extremely clean, with none of the fillers cheaper companies use. Always take Calcium with Vitamin K2 to direct the mineral into bones and teeth, not arteries and joints. Especially true if you also take Vitamin D which requires K2 to work. Recommended Usage MCHA Calcium: 1 daily with food if eating a balanced diet. Otherwise take 2 – 3. Find a list here of the best calcium rich foods in the Paleo Diet. Ingredients: 250 mg. Calcium from Microcrystalline Hydroxyapatite in a Vegetable capsule. 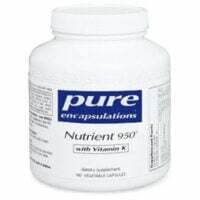 Pure Encapsulations is known for using NO additives, Stearates or fillers.